I’ve spent a lot of time recently pondering the term ‘handmade’; it’s a difficult word to dissect at the best of times but becomes particularly complex in the realm of lingerie. As a lingerie designer, a large part of my brand currently relies on the notion that my products are ‘handmade’. Almost every garment that leaves my studio doors was sewn by me from start to finish. Yet as we enter 2016, all that I’ve been thinking about is how to move some of my products away from the handmade label. This one-of-a-kind lingerie set was intricately pattern matched, hand finished and individually constructed: my personal definition of the term 'handmade'. This might seem counterintuitive for an independent lingerie brand; after all, the reason customers will shop independent is to move away from the realm of factories and mass production. Yet the further I delve into the lingerie industry, I can’t help but begin to wonder how useful the term handmade even is. Legal definitions can vary from country to country but generally speaking, the term is unregulated. Marianne explored the differences between handmade and mass manufactured corsets in this post: much of this can be extrapolated to the wider realm of lingerie but much of corsetry remains a different ballpark. I would argue that whilst much of the corset makers currently on the market are of the independent variety, lingerie remains dominated by mass-manufacturing. When I took to social media to uncover the lingerie-wearing public’s perception of what handmade lingerie means, I was surprised to discover that for many the term is equated with hand-sewn. This is a little puzzling; since the invention and popularisation of the sewing machine in the 1800s, entirely hand-sewn clothing has become relatively rare. Nowadays, I would in fact argue that totally hand-sewn clothing is largely relegated to the realm of historically-accurate costume reproduction. Nevertheless, hand-sewing as a technique in conjunction with machine sewing is far more popular in the realm of lingerie than the larger world of fashion. Even at a level of mass-manufactured fast fashion, it isn’t uncommon to see finishing bow embellishments hand sewn to the centre of a bra gore. Lingerie has a delicacy and attention to detail at most market levels that’s lacking from the likes of t-shirts and shorts. Hand-sewing is always going to be more expensive than a machine equivalent, but for certain construction processes it is unavoidable. Although it’s worth noting the extra cost hand-sewing incurs, that doesn’t mean that it’s going to be better. Certain construction methods and materials need to be machine stitched to guarantee long-term quality. As an example, I would never advocate the hand-stitching of elastic. This requires the accuracy of a machine to maintain appropriate tension to allow the garment to stretch without breaking the threads. It is highly improbable that this could be achieved by human hands alone: elastic requires the precision of machinery. Then there are techniques that are improved by machine stitching. Consider the designs of luxury designer Carine Gilson: the stitching of the lace appliqué in these pieces is expertly applied with a machined zigzag stitch for unparalleled delicacy and accuracy. In this instance I’d even argue that it requires more skill to do this sort of stitch operation with a machine than by hand. Either way, the additional expense of hand-sewing is why this technique is found most extensively in luxury lingerie. Hand finished binding and French seams were once commonplace as my vintage lingerie collection gives testament to: my 1940s factory-manufactured tap pants almost all feature these techniques. It’s an unavoidable fact that fast fashion has severely damaged expectations and understandings of garment construction and quality; the only brand that I’ve since seen this level of finishing in modern underthings would be Pillowbook Lingerie, a decidedly luxury lingerie brand. I was honestly shocked upon inspection of their tap pants to discover that hems had been invisibly hand-stitched closed for a near-perfect finish. Pillowbook's product is undeniably handmade by any stretch of the definition: each garment is made by an individual couturier with each garment label carrying their name. This attention to detail is undeniably rare in the world of lingerie and inevitably has to be reflected in a much higher price point. 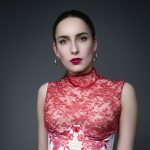 In my opinion Pillowbook are producing some of the best constructed lingerie in the current market; yet as a Chinese brand, they also have to face the inevitable barrage of Western assumptions about what Chinese manufacturing means. Their brand philosophy is entirely detached from the realms of mass-production, yet the phrase ‘made in China’ will inevitably for many conjure images completely removed from hand-crafted couture. Factories may seem faceless and anonymous, but no lingerie is created without human intervention. The cheapest of bras will be created by a person using a sewing machine and even the more ‘industrialised’ lingerie styles of underwear (such as moulded t-shirt bras or lasercut and bonded knickers) will have human hands operating the machinery. For a garment to be factory-made is never inherently bad. Factories contain the specialist machinery and highly-trained workforce that make complicated garments a possibility. The term handmade tends to hold a greater value with most consumers. There will always be something more personable about owning a garment that can be traced to individual makers rather than a faceless worksforce in a different continent. Yet the advent of the e-commerce platforms like Etsy has allowed the term to become somewhat treacherous. Anyone and everyone can start selling their designs, regardless of training and experience. We’ve seen an explosion of independent makers: industry education or hefty financial capital is no longer required to enter the fashion market. Bralets offer a relatively accessible step into the lingerie world: their soft fit makes these easier to fit and to create compared to wired bras, making them incredibly popular among handmakers. It’s no coincidence that Etsy’s lingerie category is dominated by unstructured bralets and elastic harnesses: they’re styles that require few specialist skills in terms of pattern cutting and stitching. The internet has produced a greater sense of equality for creatives: everyone has the opportunity to enter the industry. However, the lack of experience and quality control does also mean that there are a lot of poorly made garments for sale. How are customers supposed to be able to differentiate between designs that are expertly crafted and those that will fall apart after their first wash? There are no easy answers to this: all creators have to start somewhere and there’s an inevitably learning curve when it comes to quality construction. When it comes to my own products, I’m planning to introduce factory manufacturing at a larger scale; if anything, this decision comes from a desire to improve quality for customers. When I stitch products myself from start to finish, whilst I’ll do my utmost to maintain a high standard for each garment, there’s only so much I can achieve on my own. The volume that I can produce as an individual is limited. I simply don’t have the space or the means for a full complement of industrial machinery that one would find in a factory (nor would this make any meaningful financial sense). In addition to this, there’s the very real issue of cost. The process of stitching a wired bra for example, requires a lot of individual stitch operations. If you’re sewing these garments one at a time, it involves a lot of stopping and starting which can quickly add many additional minutes onto production time. The amount of time saved in a production line is crucial to the increased cost of handmade products. Contrary to popular belief, the bulk of lingerie’s production costs are not the materials but the labour involved. By putting one of my products into a small scale factory production, I will be essentially halving their cost. A garment that often takes me two hours to sew alone will take them only fifteen minutes a piece, without sacrificing the quality or attention to detail that is crucial to me as a designer. Lingerie by Karolina Laskowska, corset by Ava Corsetry, bow by Pop Antique. Photography by Tigz Rice Studios, modelled by Yazzmin. Generally speaking, lingerie has to go through the same stitching processes regardless of if it’s been through a factory production line or created from start to finish by a single independent designer. It becomes difficult to know where to draw the line for what counts as handmade. Is it still handmade if there’s one person cutting the garment and another stitching it? Or if there’s a single individual making 20 of the same garments at a time? It doesn’t seem particularly helpful to reduce the term down to a matter of scale. Handmade does not seem to have an easy definition, nor is it an explicitly positive or negative term. I personally view handmade as less of an overt descriptor, but more of a philosophy of quality and craftsmanship. It wouldn’t be difficult to argue that the term has become so diluted now by marketing buzzwords and the internet at large that it’s near obsolescence. I’ve seen a fascinating number of substitutes pop up in its absence amongst the newest generation of creatives: be that hand-crafted, hand-forged or even couture. I’m curious as to whether handmade will be replaced as a term or if the general understanding will change to reflect the change. Readers: what does handmade lingerie mean to you? Is there a different term that you’d prefer to use? For someone to use the descriptor “handmade” for their own garments suggests they have forgotten that actual human hands make mass-produced garments. And if the massive numbers of amazing yet underpaid seamstresses around the world had the capital to set up their own businesses, the quality of their work and their ability to work efficiently would put most Etsy sellers to shame. As someone who is interested in establishing my own creative business someday, I spend a lot of time thinking about what would distinguish my work and my product from anyone else’s. I am aware that there are many highly skilled people working in less developed economies, and frankly they have a far higher level of skill, a stronger work ethic and lower expectations of recognition. We modern westerners seem to expect a special snowflake medal for every small item we create, something we have been trained to expect since school; creative pursuits are for self expression, and as individuals in a highly individualistic society we have the right to receive a pat on the back for any form of self expression. But this does not necessarily translate to financial reward. A ceramicist based in a western country will make a plate with a hand painted design, call it handmade, charge $300 for it, call themselves a ceramic artist and expect people to be awestruck by the fact that they painted something with a brush. Meanwhile, someone in Vietnam or Turkey will be churning out incredibly detailed, possibly superior, designs at an incredible pace, anonymously and with little financial reward. There is a lot to discuss in terms of economics, but what I am really trying to say is – in a global marketplace, each maker’s business has to find its own marketable value. And what is the real value in goods produced by a cottage industry in a western country? Is it just that they were produced by someone who thinks their western individualism imparts some kind of special value to the product? Because there has to be more than that. Much more. Those of us living in the west are facing unprecedented job insecurity, probably for the rest of our lives, and cottage industries and individual entrepeneurial activities are being suggested as solution, *especially for women*. Our micro businesses that we are sinking our time and money into must have a chance of succeeding, or else we’re just lining other people’s pockets again. I worry about this. What is it that distinguishes our goods from others? That we have simply made them is not enough. After thinking about it for ages, I think for me the term handmade lingerie describes lingerie that’s been made by one person in their home / personal studio, i.e. not a factory. Which I know is a bit of a silly differentiation, but like you say, a piece of lingerie can be stitched in exactly the same way whether it’s handmade or not. So for me it’s less about the qualities of the garment itself and more about who made it (designer-maker vs. employee) and where. Where that definition becomes a bit more complex is when an indie designer takes on an apprentince or a small handful of employees. I’d still call that handmade but it doesn’t have *quite* the same appeal for me personally as knowing exactly who made it. Interesting point you made at the end about all the new names for handmade. I make harnesses, frame bras etc. and they’re all hand sewn, and I do make a point of stating that rather than just saying ‘handmade’ because I feel like it represents something a bit more luxe and exclusive. But totally get that certain things like elastic have a better finish when they’re machine done!